Paul Tait praised his Everton Under-18 side for overcoming their “toughest challenge so far this season” after they twice came from behind in a 4-2 victory over in-form Derby County on Saturday. The win saw the young Blues extend their lead at the top of the U18 Premier League (North) to four points ahead of their derby showdown at second-placed Liverpool on Thursday night. Strike duo Ellis Simms and Kieran Phillips continued their scintillating early-season form by bagging a brace apiece against a County side that had won six of their past seven matches. Remarkably, Simms has now scored 16 goals in nine league games, while Phillips has struck nine times in as many matches. After Derby took the lead at USM Finch Farm on 19 minutes through Morgan Whittaker, the young Blues responded almost instantaneously. Phillips won a penalty before dusting himself off and firing the Toffees level from the spot. County restored their advantage through Jordan Brown on 23 minutes but a quickfire Everton double turned the game on its head. Simms showcased his impressive pace and power to burst clear and finish into the bottom corner on 38 minutes before Phillips’ header made it 3-2. Derby pressed for an equaliser in the second half, but it was that man Simms who was to strike – he bundled home from Rhys Hughes’ superb corner delivery two minutes from time to make the points safe. Boss Tait was thrilled with the resilience his side showed against a talented Rams outfit. “When you look at intensity levels, the pace of the game and the competitiveness of it, it was by far the toughest challenge we’ve had this season,” he said. “We produced quality when we needed to and it was a really good learning process for the lads. For them to come out on top is very pleasing. “We got a few messages over at half-time, we had a good chat with each other and had a plan for the second half, and the lads carried it out brilliantly. “It was tough [in the second half] and Harry Tyrer had to make a couple of good saves late on when it was 3-2. A Merseyside derby awaits for the young Blues, who have won nine of their 10 matches in all competitions this season. 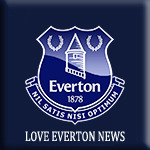 Tait says he is relishing the clash with Liverpool on Thursday night, revealing his confidence the Toffees can triumph in Kirkby to further stretch their lead at the top of the table. “We’re looking forward to that one and we’re planning for it now,” he said. “It’s a quick turnaround from Saturday. “We’ve got to get the lads rested, get them refreshed and we won’t need to motivate them for that one – they’ll be ready. "It will come down to whether we can continue the improvement we’ve shown – the win against Derby was another game where we’ve got better.